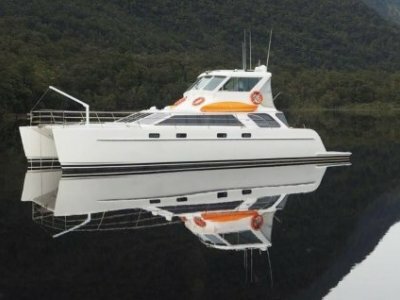 12m Bakewell-White Offshore power Trimaran built 2006,54hp Yanmar diesel new 2010, cruises 10 - 14 knots, 1125L fuel. 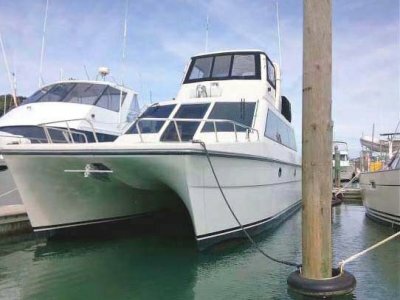 6'1" headroom with 1 double or 2 single berths. 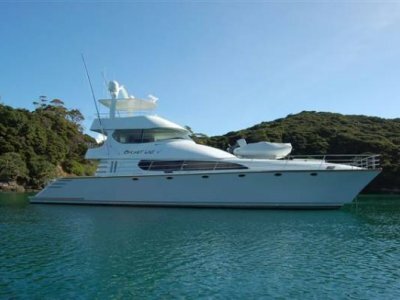 Electronics include VHF, radar, autopilot, GPS, chartplotter, depthsounder, fishfinder, stereo and CD player. Liferaft, dinghy, fridge/freezer. 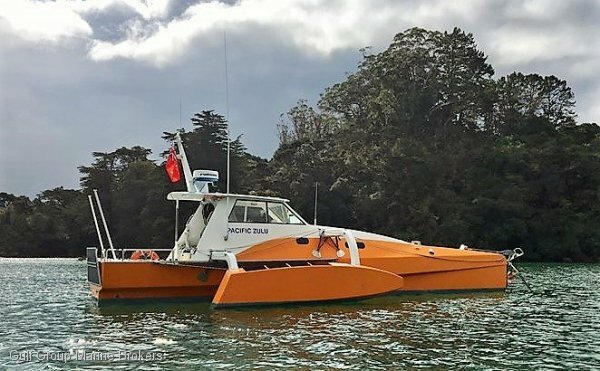 Vessel professionally built to plan by Kevin Johnson, built to survey. 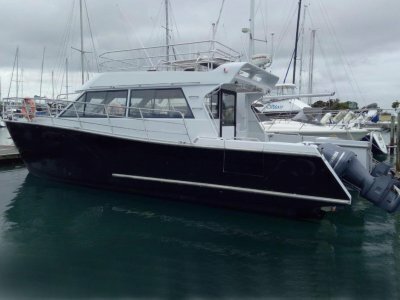 A great coastal cruiser or island cruiser. VHF, radar, autopilot, GPS, chartplotter, depthsounder, fishfinder, stereo and CD player.